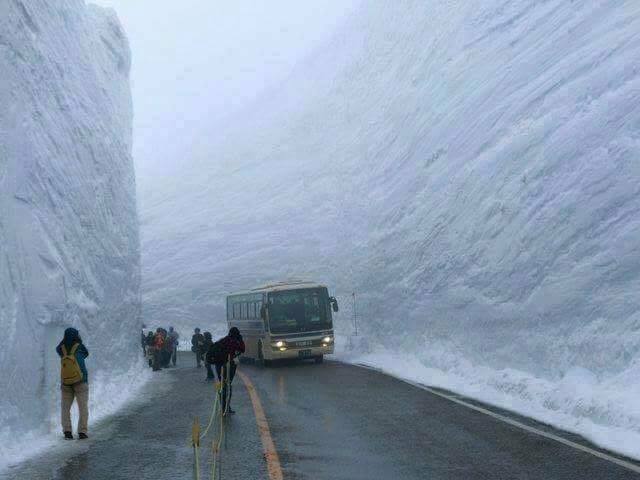 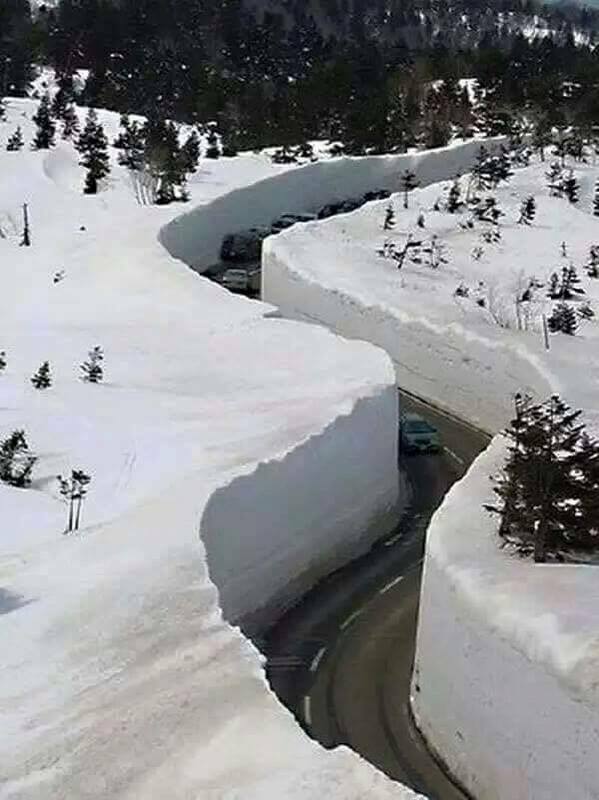 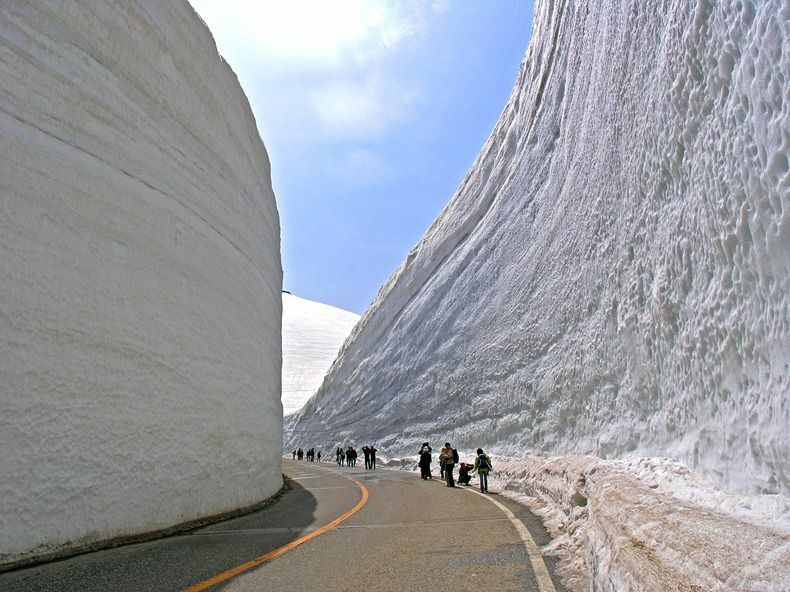 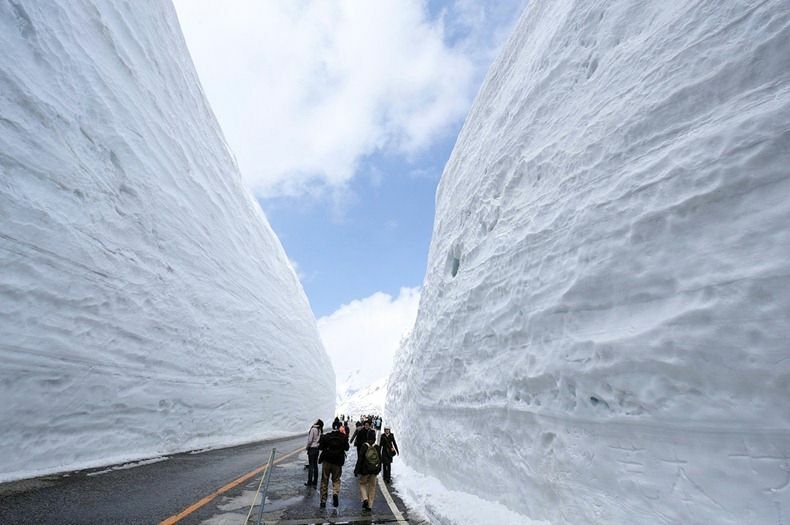 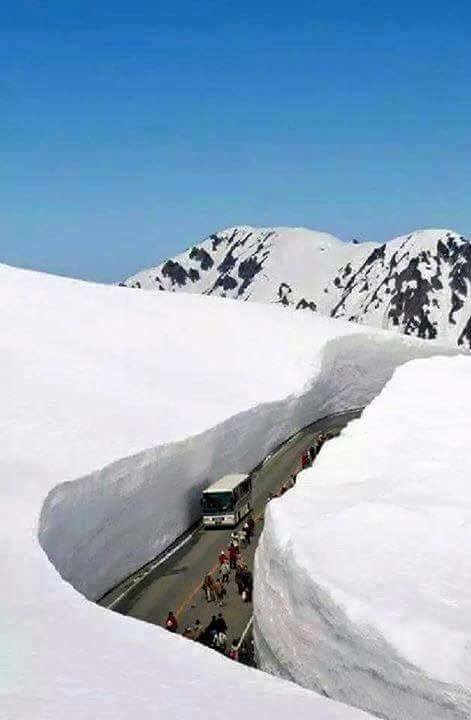 Gigantic Snow Wall: Snow canyon roads in Japan. 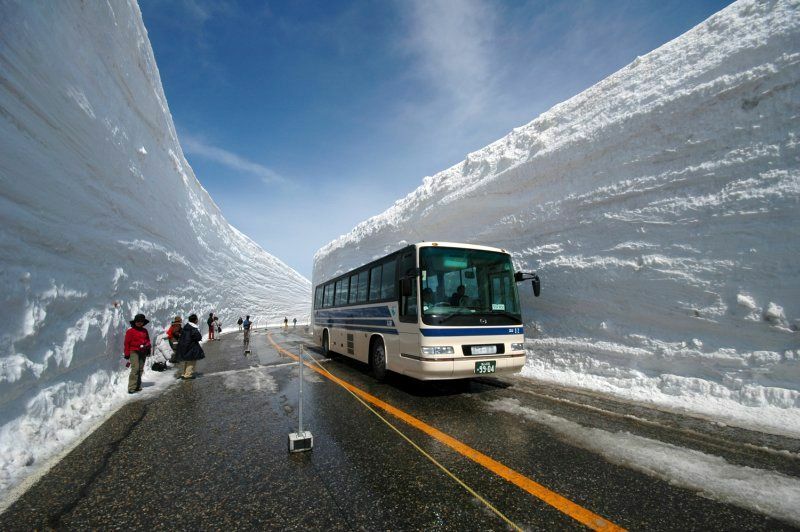 This is "Yuki-no-Otani" (Snow Canyon) in Toyama prefecture in Japan, often referred to as "Tateyama Alpine Route". 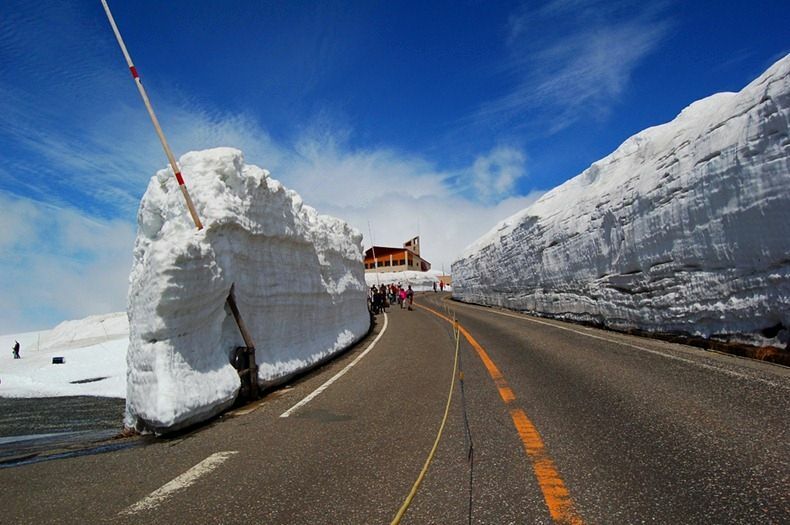 Tateyama Mountain Range through various modes of transportation such as cable car and rope-way. 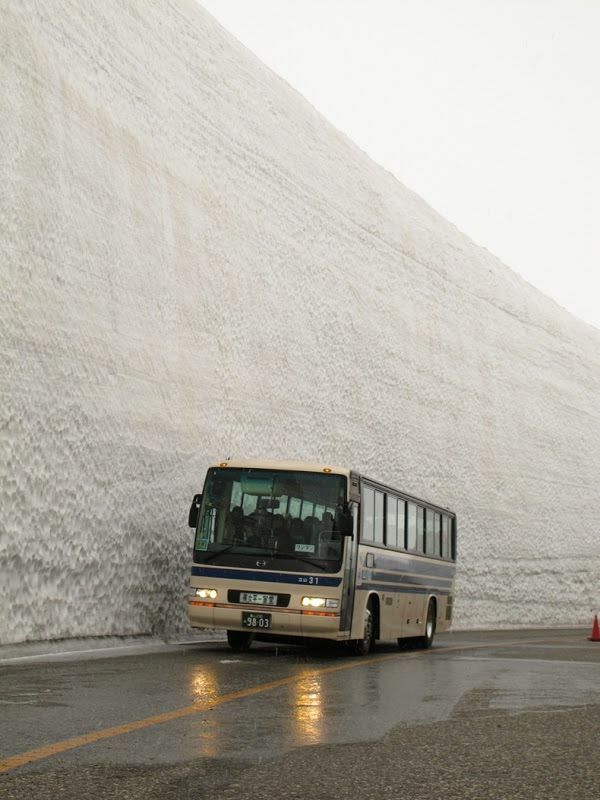 Snow removal operations begins in February, and the full route opens to the public from April to November. 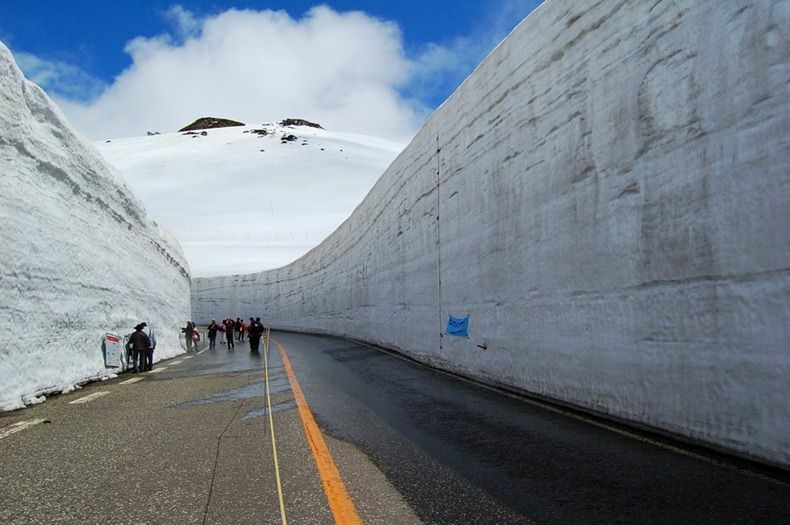 The Tateyama Kurobe Alpine Route is a world-class mountain tourism destination, where visitors can enjoy the "Japan Alps" and the Tateyama Mountain Range through various modes of transportation such as cable car and rope-way. 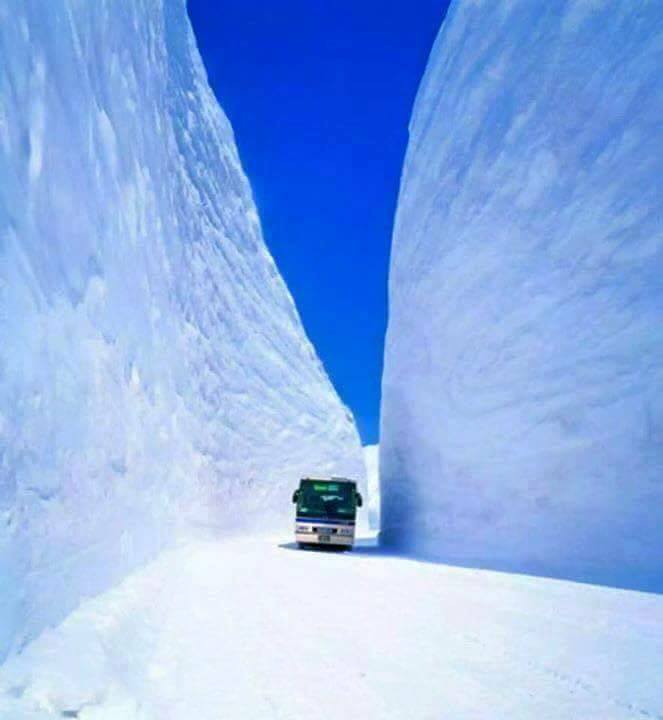 The Tateyama Kurobe Alpine Route was completed in 1971, and connects Toyama City in Toyama Prefecture with Omachi Town in Nagano Prefecture. 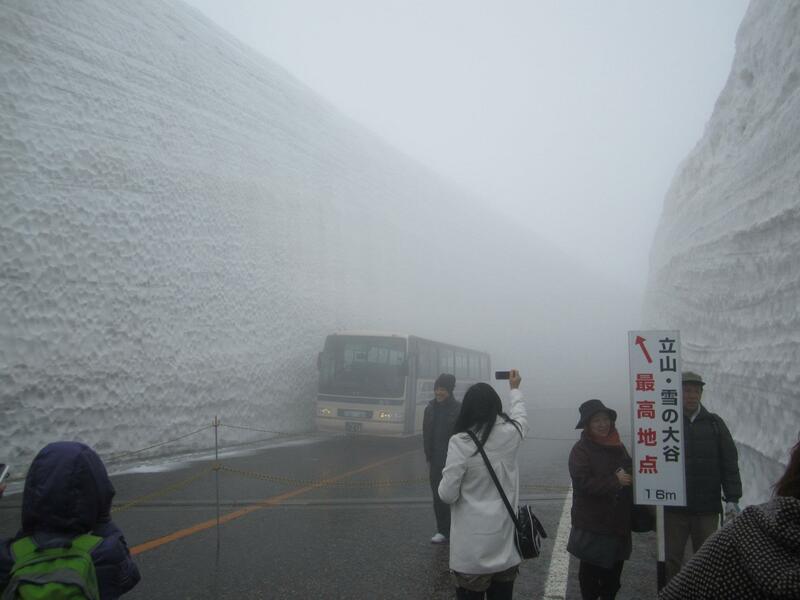 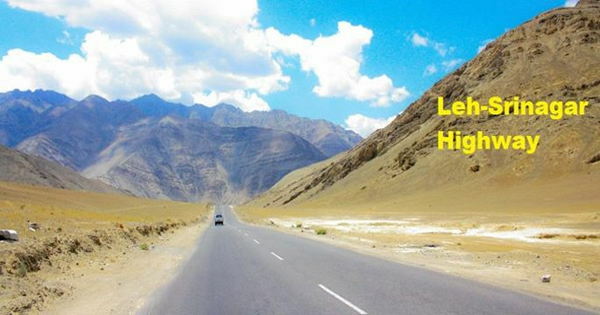 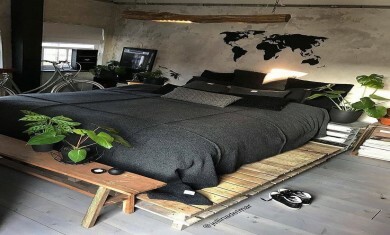 The route was carefully built so that the surrounding environment is not damaged. 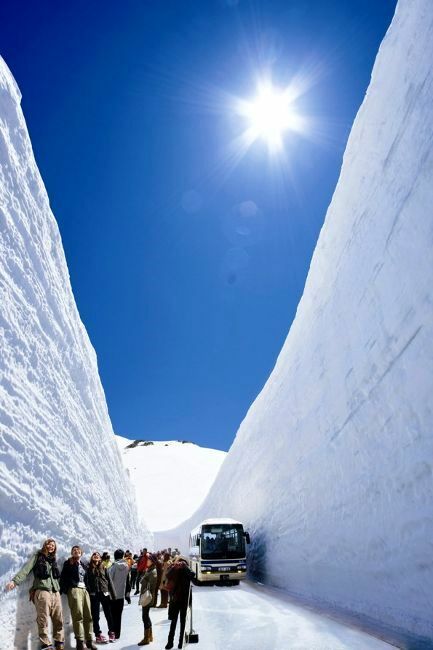 Consequently, three lines go entirely under tunnels among them, two are trolleybus lines. 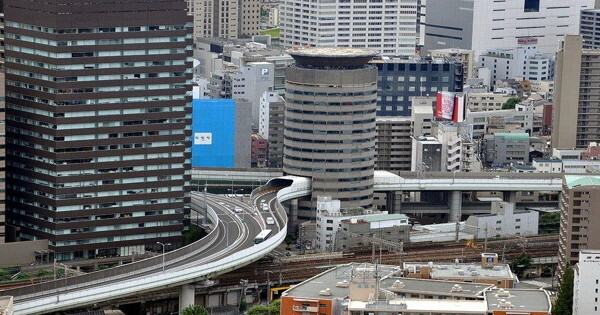 Trolleybuses have all gone from Japan, except for these two lines which are still used here as they don't exhaust gas.